The luck of Irish tends to be with everyone during St. Patrick’s Day, whether or not there’s an ounce of Irish in them. Besides wearing a lot of green, one of the most common ways to celebrate this holiday is by drinking a lot of beer. At our dental office in Madison, we hope that our patients enjoy the festivities responsibly, but also want them to be aware of some of the oral health dangers of drinking too much alcohol. There are plenty of things that can cause your normally bright, white teeth to take on a dull or discolored appearance. Drinking beer excessively happens to be one of them. Too much beer over time can transform your teeth into looking yellow or even slightly brown. 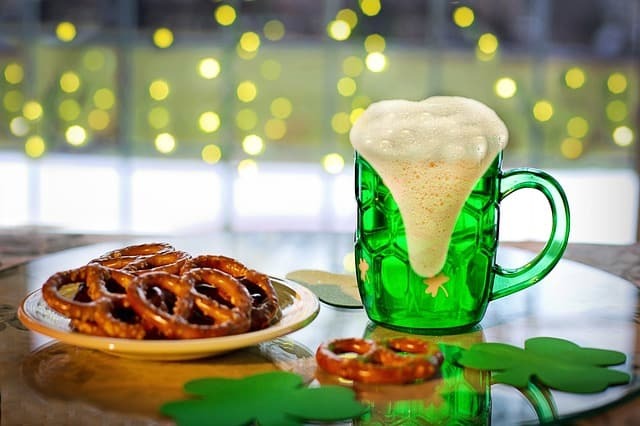 While darker beers put you at greater risk, all beer can lead to discoloration…especially the green stuff so many people enjoy during St. Patrick’s Day. The dye used to give the beer its festive appearance can also dye your teeth pretty quickly. But don’t worry, this greenish tint can usually be removed by using a slightly more abrasive tooth whitening toothpaste or by seeing your Madison dentist for a cleaning or professional smile whitening. Whether you’re due for a dental checkup or are looking for help in minimizing your St. Patty’s Day green smile, we’re always happy to see new patients and welcome you to our Madison dental office. Call to schedule an appointment with us today!